March « 2015 « Blog Marcos L. Mucheroni Philosophy, Noosphere and Ciberculture. The Large Hadron Collider (LHC), gigantic equipment that accelerates particles in a tunnel 27 km in diameter between the borders of France and Switzerland, made the unprecedented experience that detected the Higgs particle, needed to consolidate the theory of physics Standard, which unified theories: quantum, electronics, photonics, electromagnetic and gravitational, into a single theory. Now they want to do an experiment to prove the existence of parallel universes, and we would live immersed in 11 dimensions (see figure) and not the four we know (height, width, depth and time), they are in the “string theory “. 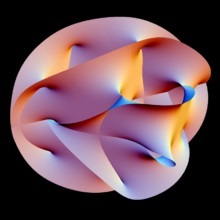 String theory was invented precisely the model to explain the movement of Hadrons, that would be basic of all blocks there, initially the model was the Polish Theodor Kaluza in 1919, left the Einstein equations and neglecting the masses and expanding the problem to five dimensions (four spatial and temporal), showed the unification of gravitational and electromagnetic fields. But it was missing calls particles of gravity, strong and weak dimension, in 1980, Michael Green and John Schwarz called string theory and quantum mechanics, creating superstring theory, which seeks to cover all existing forces of matter, including the power weak gravitational one that explains the radioactive decay (called radiation) and the strong gravitational, explaining phenomena within walking distance of the atomic nucleus (nuclear fusion, for example). For this purpose the Hadron Collider is expected to double its amount of energy, making it possible to be generated micro-black holes, something impossible in previous past. This study aims to view the theory of gravity rainbow, which would make it possible to double the dimensions in space-time, and gravity “filtered” to other higher dimensions, would separate the colors of different frequencies, reaching form a black hole. In the spring in the northern hemisphere (in Brazil is winter – south hemisphere), the LHC is being prepared to try to create black micro-holes to observe these phenomena. To inspire can read what’s even open format in MEC (Brazilian Ministry of Education yes, and they read?) Morin of Work “The seven knowledge necessary for education of the future”, as he explains in the beginning it is not a content for any level of education, but know how to dribble in education teaching what is knowledge, because “given that we know that the key problem of knowledge is the error and the illusion” (Morin). Why is this important? asks the author himself, and the answer is something entirely new even to some educators: “Because knowledge is never a reflection or mirror of reality. Knowledge is always a translation, followed by a reconstruction “of the author. Traditional education only makes the construction, it is called-education: banking, basic, constructive or even dialectic, always incurs the same error: teaches “belief”. And so we know that there is no “there is no intrinsic difference between a perception and a hallucination”, here is the explanation of error and illusion. Among the errors pointed out by the author, it is important for a globalized world, “Other error causes are cultural differences, and social origin” and thus can not read Arabic or oriental world with a perspective of the West, is a very serious mistake . The other five are simpler: the earthly identity (we are on the same planet), teach the ethics of “mankind”, teach uncertainties (to question), understanding and the human condition, that is a little more difficult, return this type of “knowledge”. According to The Independent, Finland has just abolish the division of the disciplines, but in Brazil we still need decent pay teachers. 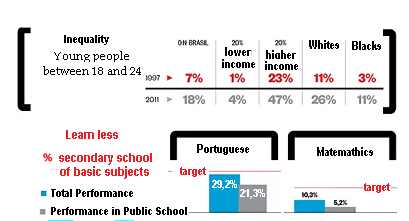 Among the claims of June 2013 (Manifestations in Brasil), already forgotten and only disguised by state and federal governments, is improving education and levels are worrying as we showed in the previous post. Of every hundred students who entered the medical cycle in 2008, 35 did not come to an end in three years: repeated or just left school, among those who are just learning what it would be reasonable (target in the previous post) and this can be proven by IDEB index (Development of Basic Education), considering the faithful and not favorable to the government. As this indicator, high school scores a by 2011, only 3.7 on a scale of 0 to 10, we could say fail or just bad, but even makeup, it has not improved in relation to past measures, what happens? The error is caused by a misunderstanding of the crisis of culture and thought that through, that would be to the unsuspecting only the super information, but there are also bad information or even the lack of information seen by some as “theories”. 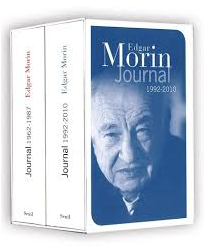 Edgar Morin explains in his book To exit the twentieth century (or the Middle Ages), “The information in a totalitarian system, is not only a government information;. Is mainly a totalitarian government information Its characteristic is not only be subject the State from which the censorship results in subinformacão “and therefore not only the mainstream media manipulative no doubt, but we need channels ‘cultural’. 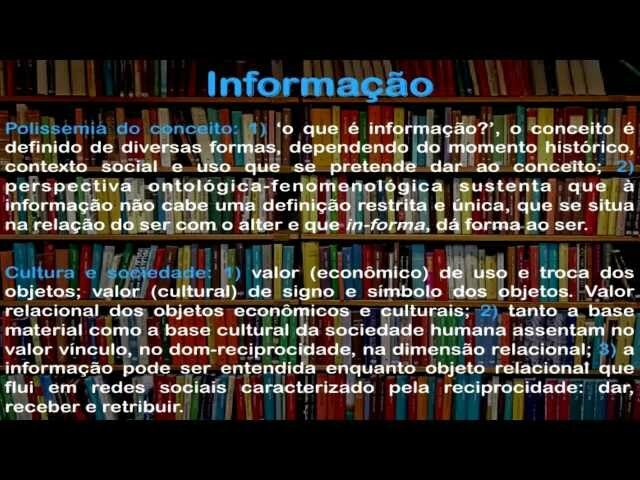 Morin adds on these points: “it lies in the conjunction of subinformação and the formation of pseudo-information, which provides an ideal image / legendary society” and this also means many skewed readings and unprepared social context. 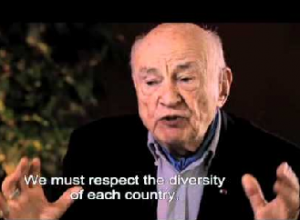 Unlike Bauman, Morin believes that also in education the state should bet on educators with cultural and literary tradition and not just those who promote the culture of some current state, in the work he does hard against the states of left and right. Among young people is great addition to concern about the labor market, see the previous post, also the quality of education and levels of inequality remain a major concern and activists are protesting. While access has improved (FIES has troubles, found for scholarship in Brazil), and inequality has fallen between income levels and blacks, the differences are still very worrying and show a society with great difficulty inclusion. The figures show that although access has risen from 7% to 18% in Brazil, a number that is too small even looking Latin American countries, 20% of lower income rose only 1% to 4%, and grew more between 20% of higher income, since the number of white grew from 11% to 26%, while black 3% to 11%, growth is reasonable, but the item quality is what worries most. Looking at the desirable goal for the average level of preparation for university, performance in public schools is wide of the goal in basic subjects such as English language and mathematics, where the public school level is very critical, that implies worst placements in the labor market, where quality somehow be measured in performance. Brazil has 5.3 million young still in the “neither-nor”, young that neither study nor work, and Latin America are 6.3 million young people in this situation, it means that we are the record holders and contribute to the largest share of neither-nor. Data are from 2011, but since then the crisis was already underway, now appeared. Even considered that the INPE data (Brazilian National Institute of Education, Ministry of Research) may be exaggerated, the data say that young people between 18 and 24, who were enrolled in higher education were 15% in 2002, and must have passed to 29.9%, according to official data, in 2011, and should be getting in fact only 30% now in 2015. Although the level of teaching quality is to be questioned, the fact is that those who read more, to better understand the reality and tends to be more critical, but most of those who extol this data forget the politizador role of social networks. Activists are there protesting and this is independent of social class, the young case. The other reason is forgotten the economic crisis, ignored by official data until last year, can not now be ignored, the growth has come to be celebrated by 7% grew in the wake of profligacy and easy credit, now must not exceed the 1% and can remain so for years to come. So the fact that there was “growing” the possibility of rapid improvement in the standard of living of Brazilians, especially the younger ones, it becomes frustrating when unemployment levels reach rates of 12.4%, which is three times among older, so the society excludes youngs and olds over 50 years. The data show that growth was in courses “in-person and distance” and although the official campaign talk of the growth of public schools, the numbers (data from Epoca magazine) does not indicate that this growth is significant, lack analyze the quality and who are freshmen, that is, if there is inclusion, that is for tomorrow. To understand the painful process of criticism contemporary democracy, which is precisely for what it is undemocratic: the power of the cartels, lobbying, political lie used to confuse voters, and active and passive corruption (which is not punishable). “The first lesson is that democracy has been fragile and temporary in modern Europe. In France, the Revolution of 1789 degenerated into terror, then there was Thermidor, and then the empire, whose fall brought about the restoration of the monarchy; it was not until the late nineteenth century to establish the Third Republic that the military disaster of June 1940 destroyed in favor of Vichy “(Morin, 2011). After already remember the twentieth century, that “fascism destroyed the Italian democracy, which the Nazis destroyed German democracy; the Franco destroyed the Spanish democracy, the Soviet Union established until 1989, its totalitarianism in European countries it subdued” (Morin, 2011). 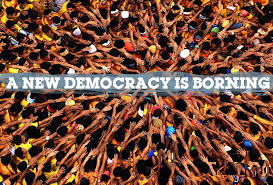 But democracy in France, Italy, Spain, Germany, as well as the “people’s democracies and the Soviet Union, even the 1789 ideas regenerated and resettled, albeit unevenly, democracy”. Thus, “the Arab spring 2011 may be skewed, suffocation, seizures,” but “the message will be reborn and reborn: she became a regenerative and regenerative force of history (unless human history descend a widespread disaster)” . 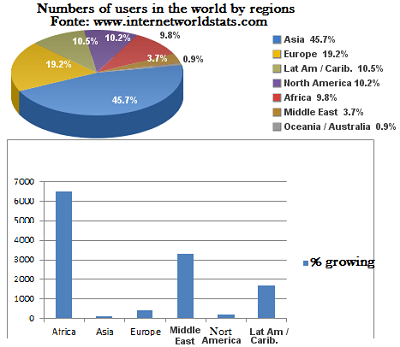 Now these desires moving to the countries of Latin America, but not cease to be present in European countries, the East (Hong Kong and Myammar), and should spread to the entire planet, although many situations in Africa and the Middle Eastern require special concerns, and democracy itself can not be expressed ignoring the ordinary person, the unknown bloggers, microblogging activists and even post on Facebook, help you think all this planetary moment, and make the power shake. Morin, Edgar. “The aspiration to democratic conduct”, Le Monde, april 26 2011. The desire of modern moralist Bauman, who like the contemporary self-righteousness or false piety (left and right) follows the logic of setting man free from sin, now only exist social sin thus expressed: “The promise of a lifetime freed from sin (now renamed as guilt) was so somante the project to remake the world in accordance with human needs and capabilities, according to a project designed rationally” (Bauman, 2011, p. 12), or “… ethics impotence of the laity and the ethical authority of the experts are explained and justified each other. And the postulate of a ‘properly based on ethics’ supports them” (Baumann, p. 23). The boundaries between ethics and morals to this postmodern allegedly author (he is a late modernity and resentful) unaware that human relations can not be understood by rules, this is one of the Being down modes in order ontological. The answer can be found in the postmodern ontology (Levinas, Ricoeur and Peter Sloterdijk) is one that shows concern for the other, modern and late modern ethics is within the limits of “Even” and though I wanted to do critical individualism, ultimately a critical “moral and ethical” to the individual, this is the modern self-righteousness. So she can not give a concrete example, speak of systemic corruption in a state of perverse relationship with the citizen, but will speak and enforce “moral and ethical” citizen allegedly controlled by the state, is on the opposite side of historical. Levinas explains this Other that is attached to the Same, morals and ethics beyond modernity is one that is revealed in the moral and unconditional responsibility that each person carries through their attitudes “along-with-the-Other” on the day, so collective. “If we stop trusting our own judgment, we will become sensitive to the fear of being wrong; call what we fear of sin, fear, guilt or shame, but whatever the name, we feel the need to review the expert hand to bring us back to the comfort of safety “(Bauman, p. 42). Where are recruited experts state, no different hobbies of his “Leviathan”, that is the late modernity, the solid that is the state and not be together-with-the-Other. Peter Sloterdijk warns: “the contempt for the masses”, otherwise the morale of the repressors, dictators and nostalgic of the “modern state” or self-righteous moralists. Bauman, Zygmunt. Ethics Postmodern, Blackweel. Pub. Limited, 1993. 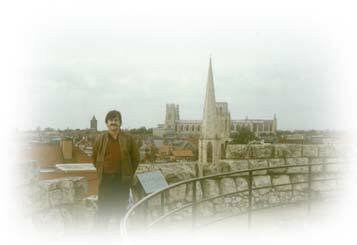 Man can for the first time in its history watch consciously and intentionally a change in time, as if we had today’s consciousness but assistíssemos the late Middle Ages, now not right. What is the reason, one of the most brilliant writings of Max Horkheimer’s “Eclipse of Reason” read it in a voluntary exile when turned in to a reflection on our goals, affections and attachments, read at that time, “again and again, when urban culture race reached its peak, for example, in Florence in the fifteenth century, there was a balance similar to the psychological forces “(Horkheimer, 2002, p. 136). It is for this social issue, not individual, so many people are looking for a saving force, autoajudas manuals, doctrines that are somehow something that points to the balance, but will not find in the individual and in just a few groups . The individual subject to the state, endowed with almost divine powers over the individual which should be your protector, your spoiler and can not sustain their minimum rights, health, education and above all peace. Blame this individualism of individual, is to take the part for the whole, this unprotected and isolated individual is forced to seek refuge for maintenance and dignified life and individualism is the resulting effect and not the cause of “eclipse” that society lives. 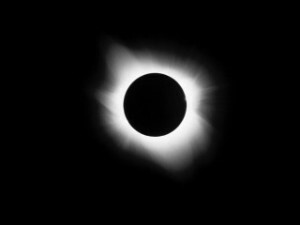 The reason for the eclipse comes also of being in pieces: be social, be individual and spiritual being, knowledge of fragmentation and also fragments the man in parts, forgetting -If your unit be designed to infinity, as is essential, and changeable and finite in appearance only what becomes the agreement of the contextual and temporary need, but are for basic needs that were designed: sociability, love and peace. We exchanged essential for emergency, trade structures and loved by Being, and it perish and the individual penalty for an existence always subject to the “eclipse” of an end of season. In 1990 was born the WWW (World Wide Web), soon after, in 1994, the Mosaic the first to incorporate text and images on the same page made by students of the National Center for Supercomputing Applications, and only later was born proprietary software (paid ) done by Microsoft Explorer. The explorer born of a version of Mosaic made by Spyglass company, which licensed its technology but not the source code, that is, is free but not open-source. 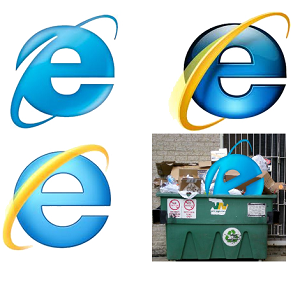 The first was paid browser Netscape Navigator, the main product of Netscape Communications Corporation and only in 1995 that he released a graphic version, called Netscape Gold, the browser then dominated in terms of usage share, but had no great survival in 2002 had almost disappeared. Facing major problems with the market the Explorer continued releasing versions, often with problems, including legal problems had accused of market monopolization attempts, which for this reason had to incorporate some features of the Java language that was open source. 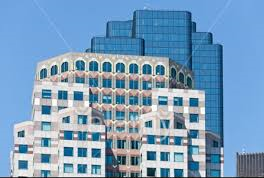 His debut on August 16, 1995, a reworked version of Spyglass Mosaic it is said that the team was 6 people in early development, six months later came the Windows NT, and versions have not stopped, recently reached Explorer version 9.